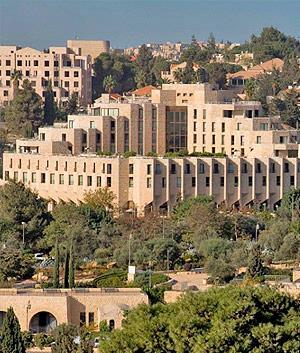 The Inbal Jerusalem Hotel is renowned for it's personal service and warm atmosphere. Set in a magnificent neighborhood, the Inbal's 283 luxurious guest rooms including 26 Suites and 25 Executive rooms have all recently been renovated. The Executive Lounge offers VIP services and amenities. The hotel also offers extensive facilities including a year round swimming pool, fitness room and banquet facilties, make the Inbal the finest hotel in Jerusalem. Restaurants in the hotel include the exclusive Sofia Italian dairy restaurant. During Succot at the time of booking we request deposit of $1000 per room . This deposit is non refundable. 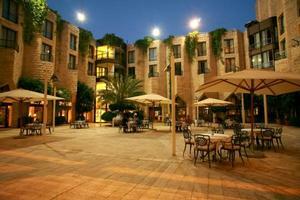 The Inbal Hotel boasts a variety of guest rooms, all of which have recently been refurbished. 283 rooms including Executive rooms, rooms facing the Old City, large family rooms which can accommodate a maximum of 4 people in the room and family units for up to a family of 6.The Inbal also has a variety of luxurious Deluxe rooms and Suites all with a stunning view of the magnificent Old City. Many of the Suites and Deluxe rooms have a spacious balcony with which to enjoy the sunshine while gazing at the historic sites of our wonderful city. All rooms include various facilities including a safe, cable TV and Wifi. The finest hotel in Jerusalem situated in the prestigious Talbieh neighborhood, in the heart of the city overlooking the Old City.Within walking distance to the commercial center of Jerusalem as well as many major historic sites. 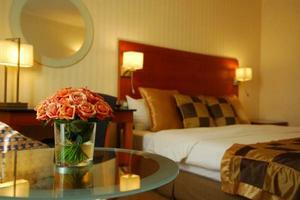 "We stayed at the executive suite and were able to enjoy the executive lounge. The only problem ..."